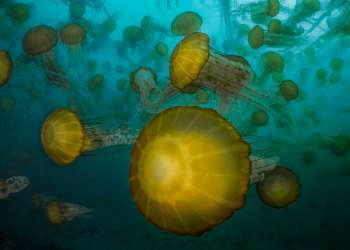 The Monterey Bay Sanctuary attracts divers from around the world. More than 65,000 of them visit each year. Lured by the unique beauty of the kelp forest and underwater canyon, divers also appreciate the good visibility and safe conditions. Wear a wetsuit! While water temperatures sometimes hit the 60 degree range, they are usually closer to 50. Once you go underwater, you&apos;ll enjoy 10 to 30 feet of visibility. 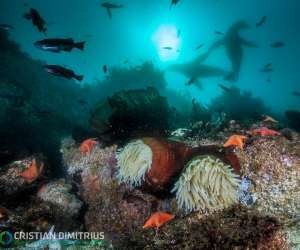 The nutrient-rich waters of the Monterey Bay National Marine Sanctuary ensure there will be a lot of marine life to see once you&apos;re underwater! 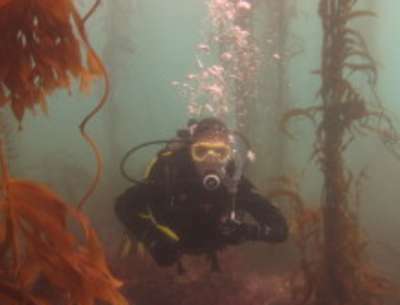 Bluefish and Whalers Coves at Point Lobos, Lovers Point in Pacific Grove, and Monterey State Beach, San Carlos Beach and McAbee Beach in Monterey are popular beach dives for all levels of divers. Monastery Beach and Carmel River State Beach in Carmel are popular with advanced-level divers. Monterey has been rated as the best beach dive in the U.S. by Scuba Diving magazine.